Justice for victims begins here. 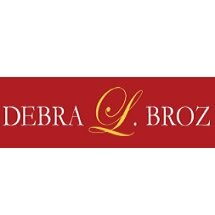 At the law firm of Debra L. Broz, Attorneys at Law, PLC, our legal team is dedicated to fighting for the rights of everyday people. We provide experienced and compassionate legal representation in personal injury, Social Security Disability and bankruptcy cases. Based in Bowling Green, we work with people throughout South-Central Kentucky. We understand how stressful it can be to face any legal problem. Our goal is to not only address your current legal needs, but also work toward an outcome that will best serve your interests for the long term. We believe that, ultimately, it is about the money — your money. Whether you are struggling with debts or desperately need compensation to get back on your feet after an injury, our lawyers are here to help. We have decades of experience getting proven results. At our firm, you will work directly with one of our attorneys throughout your case. We will guide you through the legal process and address your concerns each step of the way. We consider it a privilege to help those in need, and we take our responsibility as advocates very seriously. We offer free initial consultations for all prospective clients. To learn more, call our office at 270-282-7975. Someone is available to take your call day or night.